About this time last year, my column in CUSTOMER spoke to the movement of customer experience into the realm of the networks and IT groups. At the time, I had spoken to Cisco, Motorola (News - Alert) Solutions, and HP about the value of Wi-Fi in the customer lifecycle. They all agreed the next evolution of the customer experience needed to include ways of creating more data that could then be used to define new sales and marketing strategies. It was the beginning of a new series of relationships between IT and other lines of business within enterprises that would help drive new revenue opportunities. Almost a year later, it appears at least some level of impact is starting to be defined, thanks to a report recently put out by EarthLink, IHL Group, and AirTight Networks (News - Alert). 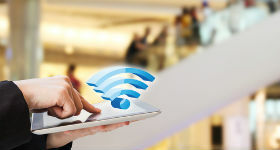 The report indicates an increase in sales and customer loyalty following deployment of Wi-Fi within retail establishments. Not surprisingly, the hospitality sector recorded the greatest increases in loyalty (61 percent) and in-store time (59 percent), as well as a 2.7 percent increase in sales. General retailers experienced more than respectable increases as well (22 and 21 percent respectively). Also not surprisingly, food, drug and convenience stores saw almost no increase in loyalty, time, or sales. One has to wonder, though, how much of the increases seen after Wi-Fi deployments is a result of a fundamental generational shift, meaning that today’s adolescents have a much shorter attention span than their parents did, and most are seen staring into some type of electronic screen that effectively serves the same purpose as a pacifier. With the kids engaged in their digital content, parents can shop at their leisure. Ultimately, though interesting to know what the Wi-Fi connectivity is used for, the bottom line is just that – revenue growth. What is, perhaps, more surprising, is the even greater increase in loyalty and sales attributed to the deployment of staff Wi-Fi access. In fact, it seems entirely counterintuitive, based on the assumption that associates with Wi-Fi access have increased opportunity to underperform due to being more distracted by text messages, social media, and online content. However, general retailers claim a 53 percent increase in loyalty, and a 4.3 percent increase in sales, while hospitality industry respondents saw loyalty increase by 61 percent and sales by 2.5 percent. Here’s an example. With the understanding that Disney (News - Alert) has long excelled in delivering an exceptional customer experience, even the best can always get better. My last two stays at Disney World were at the same property, and the experience was similar each time, with a few oddly noticeable improvements, the first of which happened immediately upon arrival. Specifically, while waiting to check in, all the counter agents were busy, and we resigned ourselves to some duration of waiting. But, before I had a chance to enter the password to my phone, a representative appeared with tablet in hand and customer check-in app open. I recall mentioning mere moments later, upon completion of the process, how amazingly easy they had made check-in with the mobility element. By deploying an in-store mobile infrastructure, businesses in nearly any industry are able to provide much more immediate and efficient service to customers, whether that means expedited check-in, more accurate and faster dinner orders, or easy access to new product information and comparisons. The result: happier and more loyal customers, which we already know, is the formula for increased spend. Now as for the data, just yesterday, I chaired a panel called The New Data Empowered CIO, joined by executives from Salesforce, Associated Press (News - Alert), and Applango, at the Landmark CIO Summit in New York. The discussion touched on many points around the use of big data and strategies for its effective implementation, which resulted in a clear understanding that, though the infrastructure is in place, most businesses have yet to fully get their big data programs off the ground. In most cases, in fact, consensus seems to be that enterprises are either in the early stages of researching options or they don’t even have it on their roadmaps yet, with the latter giving way to the former. But, for many, it seems, simply implementing the Wi-Fi network can have a profound impact on business to at least generate a return on the technology investment.